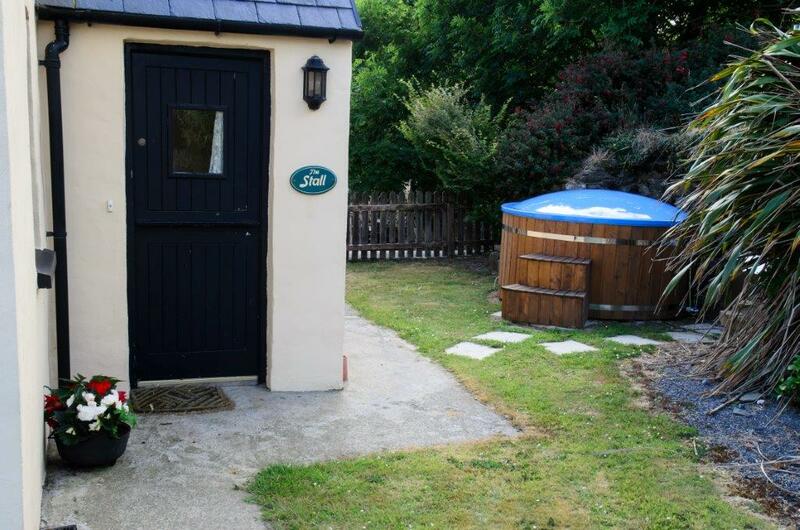 The old stall, or cow shed, which has also been beautifully furnished and restored to a 2 bedroom cottage. Sleeps 5. 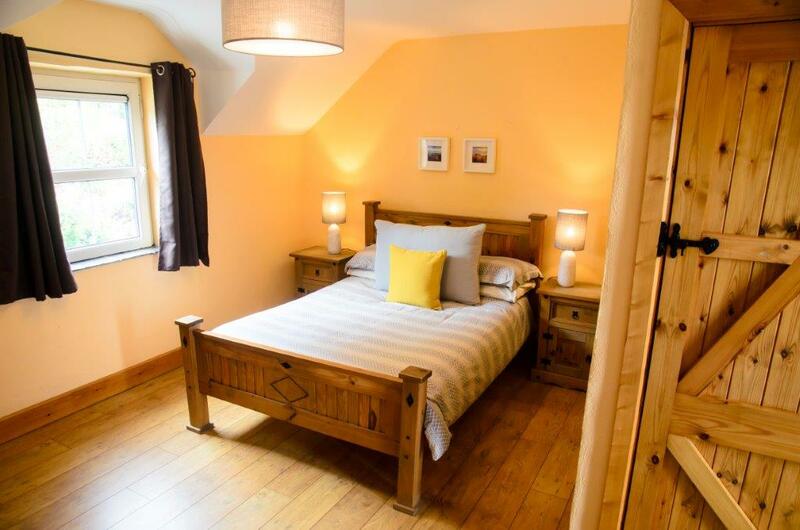 1 Double bedroom and 1 twin bedroom (1 single bed and 1 double bed). Hot tub available exclusively to this house only. 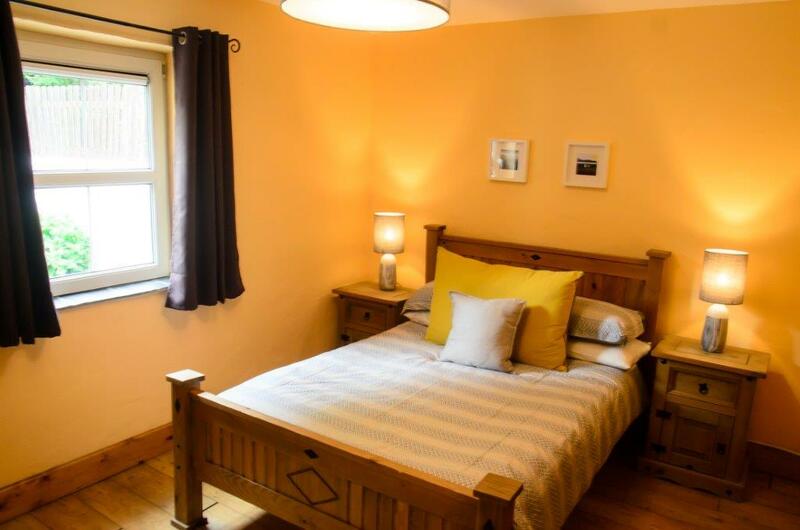 The old stall, or cow shed, which has also been beautifully furnished and restored to a 2 bedroom cottage to provide 4 star accommodation. 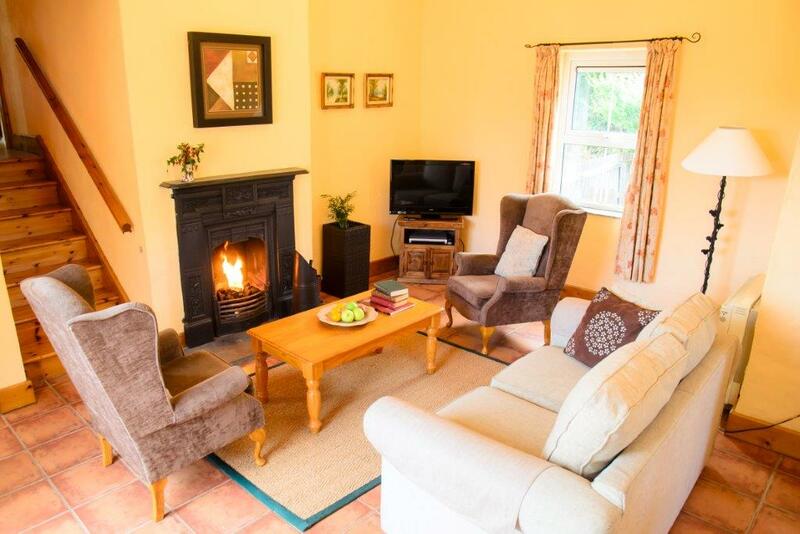 Ground Floor: Spacious open plan kitchen/dining/living room with an open fire, utility room and shower-room with toilet and basin. Main door also leads to a private patio/sitting area to rear. 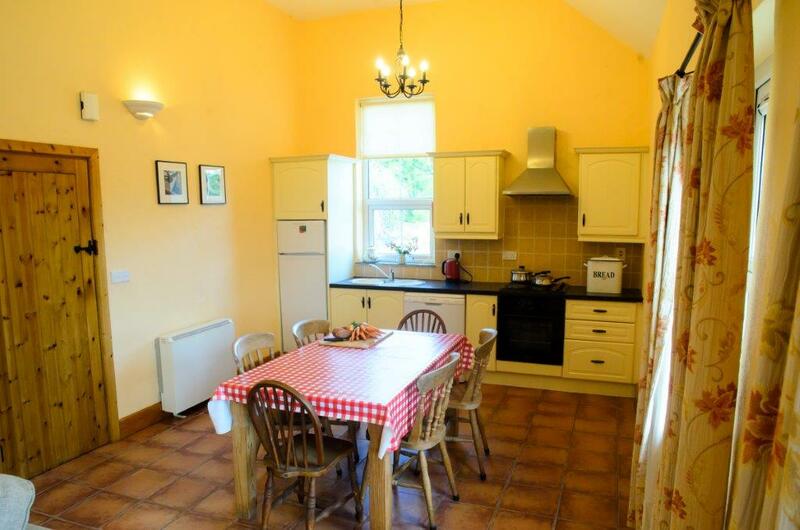 Lower Ground Floor: Double bedroom and full bathroom (shower over bath). First Floor: 1 bedroom with twin single beds. 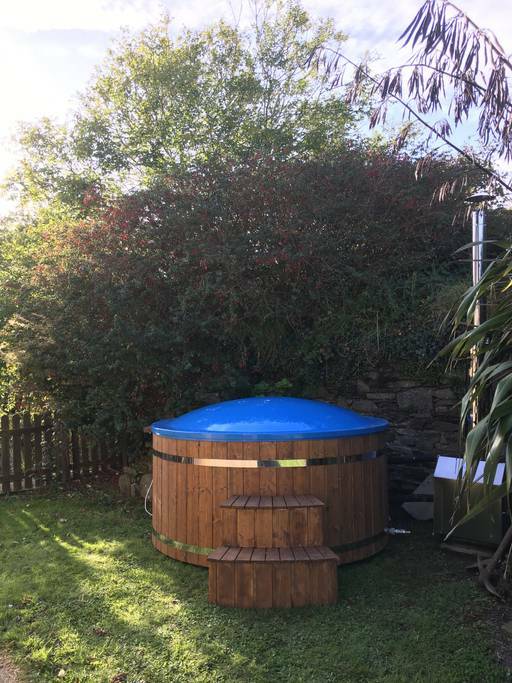 Outdoors: Enjoy the luxury of our Hot Tub outdoors and relax after your days activities. 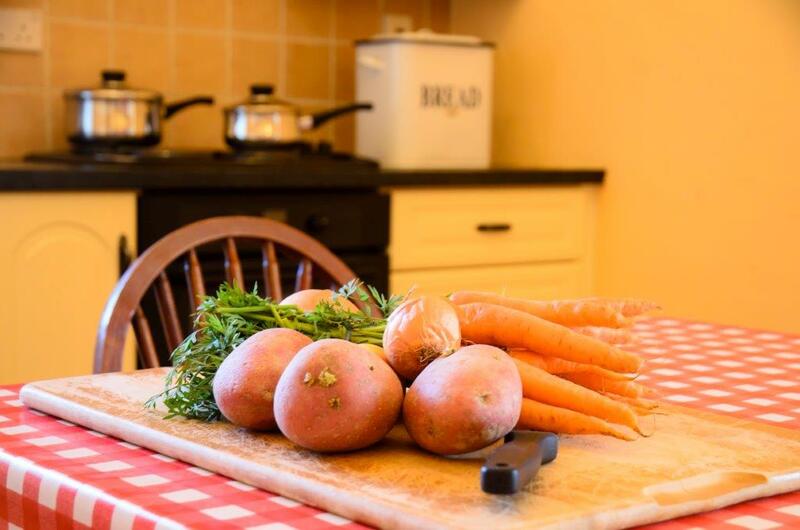 Mary and Aidan live on the adjoining farmyard and are always on hand to answer your questions. You are also welcome to bring in the cows for milking and help with feeding the calves.